If you missed something in class or didn't finish, this is the place to get what you need. Apr 6th Building a Model for Electric Charge note and What is Static Electricity video, handouts. Apr 7th Investigation 3.1 - Investigating Electric Charges. Report and Questions. The activity was completed and handed in . Apr 8th Read Ch #3.2 and complete Electricity and Matter handout. Apr 12th How a Van de Graff Generator Works. Try the Van de Graff. Apr 13th Conductors and Insulators note. Video 'Conductors and Insulators' handout. Charging by Contact. Apr 14th Hit by lightning. Human Lightning Rod. Static Electricity Assignment. It is due on Mon Apr 18th. Apr 15th BN Static Electricity. Finish Static Electricity Assignment. Apr 18th Static Electricity Review. Be sure to complete your Static Electricity Assignment. It is now PAST DUE. What is Current Electricity note. Rd. Ch 3.4. Comparing Electricity to Water Flow handout. Apr 19th Static Electricity Quiz. Parts of an Electric Circuit note. BN - Current Electricity. Apr 20th Electricity Symbols handout. Activity 3.5 - Building simple circuits was completed in class and handed in. Apr 21st Symbols Review. Read Ch #3.6 Complete handout. Series and Parallel Circuits notes and drawings..
Apr 25th Electric Symbols Quiz. Activity 3.7 - Building Series and Parallel Circuits. Completed and Hand in. Apr 27th Simbucket online circuits. Handouts. Apr 28th Practice Drawing Circuits for your quiz tomorrow. Circuit Construction review and summary note. May 3rd Circuit analysis quiz. Ohm's Law Practice. Read Ch #3.13. Complete the following handout. May 4th Ohm's Law Quiz. Whiteboards. How do we Conserve Electricity? Save ON Energy. Video. Rd. Ch 3.16, Efficiency note. May 5th How we Produce Electricity. Read the folder , Complete the handout. These videos might help. What is Nuclear Energy. Nuclear Energy Risks. Hydroelectricity. Fossil Fuels. May 6th What Type of Electrical Energy is the Best? Due Tuesday! These videos might help. What is Renewable Energy. Wind. Solar. Tidal. Geothermal. Biomass. May 9th Continue working on Electrical Energy assignment. May 11th Hey Mr. Ohrling...What is on my Electricity Test? May 16th Space is a hostile place (note). How Big, How Far, How Fast video. May 17th Read Ch 4.1 and 4.2 and complete the handout. May 18th From Ch 4.5 - Our Solar System handout. May 24th Scale Model of the Solar System. Use the scale given to make a model on 3 pieces of 8 1/2 x 14 paper. Look below! May 25th Celestial Motion Note. Motion of Mars and Jupiter. Other Solar System Bodies. BN - The Moon. May 26th The Sun. Read Ch. 4.10 from the text and answer a - m using complete sentences. Fri May 27th BN - The Sun. Rd Ch. 4.11. Note on Galaxies. May 31st Solar Nebula Theory. Video. The Effect of Celestial Bodies on Earth. Hey Mr. Ohrling....What is on my Space Test? Jun 1st Review for your Test tomorrow....Don't forget to make your "Cheat Sheet"
Feb 4th Course outline and expectations. Parents, please sign the outline beside the website info. Feb 8th Making WHIMIS work video HHPS symbols and info. Physical and Chemical Properties note. Physical Properties handout. We will finish this next class. Feb 9th Finish Physical Properties. Make sure you answer the following 3 questions. Feb 11th Properties Review. What is Chemistry note. Video - Evidence for Atoms and Molecules. Feb 12th Physical Properties Quiz. Rd pages 16. Changes of State note (see diagram below). BN - States of Matter Handout. (answers). Feb 16th Rd pages 16, 17. Physical and Chemical Change Handout. Feb 18th First half of class netbooks . Read Ch 1.5 and complete the following handout. Feb 22nd Ch 1.6 - Extreme Chemical Reactions. Video: How Fireworks are made. Feb 24th Rd 1.9 and fill in the handout. Review KMT. PPT-Elements Compounds and Mixtures. Feb 29th PPT-Elements Compounds and Mixtures. Matter Concept Map. Try these Flashcards. Elements Compounds and Mixtures video with worksheet. Mar 3rd Metals vs. Non Metals Video. PPT . Activity. Atoms the inside story. Rd Ch 1.13 and complete the handout. Mar 4th BN Atoms. Atoms - inside story note from PPT. 30 Elements you need to know. PT. Elements Crossword and Wordsearch. 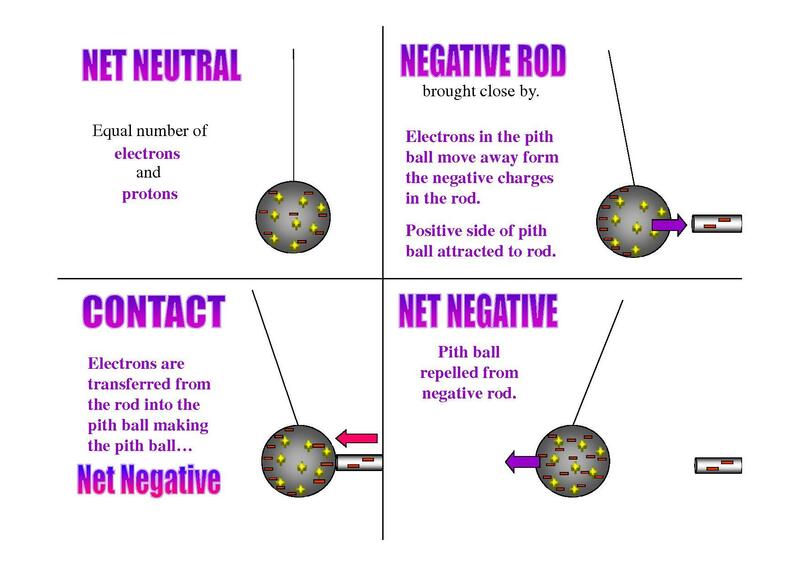 Mar 8th Your Periodic Table...with protons, neutrons and electrons. L&SM 1.13b. Mar 9th Bohr Diagram Note and Drawing of the first 20 elements. How to Draw Potassium. Phosphorus. Check yours here. Mar 21 Counting Atoms. Rd. Chapter 1.14. Note. Practice. Mar 29 Making Molecules Quiz. The Periodic Table Video. (12 min) Read Ch 1.18 and complete the handout. Mar 30 Use this Periodic Table to complete the handout 1.19. Mar 31 Literacy Test Day. June 6th More Ecology Terms. Chains and Web handout. June 7th Play the Food Chain Game. BN - Food Webs Classifying Components of Ecosystems. Ecosystems and their components. June 9th Deer and Wolf Populations. Complete and hand in. June 10th Endangered Species Assignment. Be sure to pick a species that is actually endangered. June 15th Hey Mr. Ohrling...What is on my Ecology Test? Sept 3th Course outline and expectations. Parents, please sign the outline beside the website info. Sept 4th Safety in the classroom, WHMIS, HHPS symbols and info. Sept 5th Physical and Chemical Properties note. Physical Properties handout. Make sure you answer the following 3 questions. Sept 6th Finish Physical Properites. Have a good weekend. Sept 9th Safety symbols Quiz. Physical Properties activity. Sept 10th Properties Review. What is Chemistry note. Video - Evidence for Atoms and Molecules. Sept 11th Physical Properties Quiz. Rd pages 16, 17. Physical Change Handout. BN - States of Matter Handout. (answers). Sept 12th Finish Chemical Changes. Make sure you have read the pages above and completed the Handout. Sept 13th Physical and Chemical Change Activity. Use the links above to Practice. Sept 16th Half the class in the computer lab. Read Ch 1.5 and complete the following handout. Sept 19th KMT Demos - Make notes on the following Powerpoint. Rd 1.8 answer Q#1-4. Sept 20th Rd 1.9 and fill in the handout. Review KMT. PPT-Elements Compounds and Mixtures. Sept 23rd PPT-Elements Compounds and Mixtures. Matter Concept Map. Try these Flashcards. Elements Compounds and Mixtures video with worksheet. Sept 24th Try these Flashcards. Classifying Substances as Elements, Compounds and Mixtures. Activity. Sept 25th Elements, Compounds and Mixtures Quiz. Read Ch 1.10 and 1.12. Complete the worksheet. Sept 26th Metals vs. Non Metals Note. Atoms the inside story. Rd Ch 1.13 and complete the handout. Oct 1st Atoms - inside story note from PPT. 30 Elements you need to know. PT. Elements Crossword and Wordsearch. Oct 3rd Your Periodic Table...with protons, neutrons and electrons. L&SM 1.13b. Oct 4th Bohr Diagram Note and Drawing of the first 20 elements. How to Draw Potassium. Phosphorus. Check yours here. Oct 9th S.A.N. Quiz Counting Atoms. Rd. Chapter 1.14. Note. Practice. Oct 16th Read Ch 1.18 and complete the handout. Oct 17th Complete the handout 1.19. Oct 18th Chemistry Review. Hey Mr. Ohrling...What is on my Chemistry Test? Chemistry Review - Questions and Answers. Oct 25th What is Static Electricity handouts. Investigation 3.1 - Investigating Electric Charges. Report and Questions. The activity was completed and handed in . Oct 28th Read Ch #3.2 and complete Electricity and Matter handout. Oct 29th How a Van de Graff Generator Works. Is it safe to be in a car during lightning? Oct 30th BN Static Electricity. Static Electricity Assignment. It is due on Fri Nov 1st. Oct 31st Hit by lightning. Finish Static Electricity Assignment. Nov 1st Conductors and Insulators note. Video 'Conductors and Insulators' handout. Charging by Contact. Nov 7th What is Current Electricity note. Rd. Ch 3.4. Comparing Electricity to Water Flow handout. Nov 8th Static Electricity Quiz. Parts of an Electric Circuit note. BN - Current Electricity. Nov 11th Electricity Symbols handout. Activity 3.5 - Building simple circuits was completed in class and handed in. Nov 12th Symbols Review. Read Ch #3.6 Complete handout. Series and Parallel Circuits notes and drawings..
Nov 13th Electric Symbols Quiz. Circuit Symbols Quiz. Activity 3.7 - Building Series and Parallel Circuits. Completed and Hand in. Nov 15th Online circuits. Complete the handout. Nov 18th Practice Drawing Circuits for your quiz tomorrow. Circuit Construction review and summary note. Nov 21st Ohm's Law Practice. Read Ch #3.13. Complete the following handout. Nov 22nd Ohm's Law Quiz. How do we Conserve Electricity? Rd. Ch 3.16, Efficiency note. Nov 25th How we Produce Electricity. Read the folder , Complete the handout. Nov 26th What Type of Electrical Energy is the Best? Due Friday! Nov 27th Continue working on Electrical Energy assignment. Nov 28th Hey Mr. Ohrling...What is on my Electricity Test? Tues Dec 3rd Space is a hostile place (note). How Big, How Far, How Fast video. Wed Dec 4th Read Ch 4.1 and 4.2 and complete the handout. Thur Dec 5th Bill Nye Outer Space (answers). Rd. Ch 4.3 . Fri Dec 6th From Ch 4.5 - Our Solar System handout. Mon Dec 9th Scale Model of the Solar System. Use the scale given to make a model on 3 pieces of 8 1/2 x 14 paper. Look below! Tue Dec 10th Celestial Motion Note. Motion of Mars and Jupiter. Other Solar System Bodies. BN - The Moon. Wed Dec 11th The Sun. Read Ch. 4.10 from the text and answer a - m using complete sentences. Thur Dec 12th BN - The Sun. Rd Ch. 4.11. Note on Galaxies. Fri Dec 13th The Doppler Effect, Red-Shift and the Expanding Universe. Mon Dec 16th Solar Nebula Theory. The Effect of Celestial Bodies on Earth. Hey Mr. Ohrling....What is on my Space Test? Tue Dec 17th Review for your Test tomorrow....Don't forget to make your "Cheat Sheet"
Jan 8th More Ecology Terms. Chains and Web handout. Jan 9th Play the Food Chain Game. BN - Food Webs Classifying Components of Ecosystems. Ecosystems and their components. Jan 15th Exam Review. See above for outline. Jan 16th Exam Review. See above for outline. Jan 17th Exam Review. See above for outline. Feb 5th Course outline and expectations. Parents, please sign the outline beside the website info. Feb 6th Safety in the classroom, WHMIS, HHPS symbols and info. Feb 7th Physical and Chemical Properties note. Physical Properties handout. Make sure you answer the following 3 questions. Feb 11th Safety Quiz. Physical Properties activity. Feb 12th Properties Review. What is Chemistry note. Video - Evidence for Atoms and Molecules. Feb 13th Physical Properties Quiz. Rd pages 16, 17. Physical Change Handout. BN - States of Matter Handout. (answers). Feb 15th Finish Chemical Changes. Make sure you have read the pages above and completed the Handout. Feb 20th Use the links below to prepare for your quiz on Thursday. Read Ch 1.5 and complete the following handout. Feb 22nd KMT Demos - Make notes on the following Powerpoint. Rd 1.8 answer Q#1-4. Feb 25th Rd 1.9 and fill in the handout. Review KMT. PPT-Elements Compounds and Mixtures. Feb 26th Matter Concept Map. Try these Flashcards. Elements Compounds and Mixtures video with worksheet. Feb 27th Classifying Substances as Elements, Compounds and Mixtures. Activity. Feb 28th Elements, Compounds and Mixtures Quiz. Read Ch 1.10 and 1.12. Complete the worksheet. Mar 1st Metals vs. Non Metals Note. Atoms the inside story. Rd Ch 1.13 and complete the handout. Mar 5th Elements and symbols links below. Standard Atomic Notation. Your Periodic Table...with protons, neutrons and electrons. Mar 6th More Standard Atomic Notation. L&SM 1.13a and 1.13b. Mar 7th Elements and Symbols Quiz. SAN Review. Bohr Diagram Note and Drawing of the first 20 elements. Check yours here. Mar 8th Standard Atomic Notation Quiz. Finish your Bohr Diagrams. Mar 19 Bohr Diagram Quiz. Counting Atoms. Rd. Chapter 1.14. Note. Practice. Mar 22nd Read Ch 1.18 and complete the handout. Mar 25th Complete the handout 1.19. Mar 26th Chemistry Review. Hey Mr. Ohrling...What is on my Chemistry Test? Chemistry Review - Questions and Answers. Mar 27th More Chemistry review. Test Rules - Make a 'Cheat Sheet' - 1 page 1 side. Apr 3rd Investigation 3.1 - Investigating Electric Charges. Report and Questions. The activity was completed and handed in . Apr 4th Read Ch #3.2 and complete Electricity and Matter handout. Apr 5th How a Van de Graff Generator Works. Is it safe to be in a car during lightning? Apr 8th Conductors and Insulators note. Video 'Conductors and Insulators' handout. Charging by Contact. Apr 9th Review for quiz on Friday. Nova Lightning. Apr 10th Static Electricity Assignment. Apr 12th Finish Static Elec tricity Assignment. It is due on Monday 14th. Apr 15th Static Electricity Quiz. What is Current Electricity note. Rd. Ch 3.4 and complete the following handout. Apr 16th Comparing Electricity to Water Flow handout. BN - Current Electricity. Parts of an Electric Circuit note. Apr 17th Electricity Symbols handout. Activity 3.5 - Building simple circuits was completed in class and handed in. Apr 18th Read Ch #3.6 Complete handout. Series and Parallel Circuits notes and drawings..
Apr 22nd Circuit Symbols Quiz Activity 3.7 - Building Series and Parallel Circuits. The activity was completed and Handed in. Apr 23rd Online circuits. Complete the handout. Apr 24th Watched part of 'Who Killed the Electric Car"
Apr 26th Practice Drawing Circuits for your quiz tomorrow. Circuit Construction review and summary note. Apt 29th Circuit Drawing Quiz. Calculations with circuits. Practice Circuit Analysis for your quiz Wednesday. May 1st Cricuit Analysis Quiz. Ohm's Law Practice. Read Ch #3.13. Complete the following handout. May 2nd Ohms Law Quiz. How do we Conserve Electricity? Rd. Ch 3.16, Efficiency note. May 6th What Type of Electrical Energy is the Best? Due Friday! May 7th Continue in the Library Working on your assignment. May 8th Electricity Review and time to work on your cheat sheet. May 9th Electricity Review and time to work on your cheat sheet. May 10th Energy Assignment Due. Electricity Test - Don't Forget your Cheat Sheet. May 13th Space is a hostile place (note). How Big, How Far, How Fast video. May 15th Read Ch 4.1 and 4.2 and complete the handout. May 16th Bill Nye Outer Space (answers). Rd. Ch 4.3 and complete the handout(pg 1, pg2). May 17th Bill Nye Planets. From Ch 4.5 - Our Solar System handout. May 21st Scale Model of the Solar System. Use the scale given to make a model on 3 pieces of 8 1/2 x 14 paper. Look below! May 22nd Celestial Motion Note. Motion of Mars and Jupiter. Other Solar System Bodies. BN - The Moon. May 23rd The Sun. Read Ch. 4.10 from the text and answer a - m using complete sentences. May 24th BN - The Sun. Rd Ch. 4.11. Note on Galaxies. May 27th The Doppler Effect, Red-Shift and the Expanding Universe. May 28th Solar Nebula Theory. The Effect of Celestial Bodies on Earth. Hey Mr. Ohrling....What is on my Space Test? May 29th Review for your Test tomorrow....Don't forget to make your "Cheat Sheet"
June 3rd More Ecology Terms. Chains and Web handout. June 4th Play the Food Chain Game. BN - Food Webs Classifying Components of Ecosystems. Ecosystems and their components. June 6th Deer and Wolf Populations. Complete and hand in. June 7th Endangered Species Assignment. Be sure to pick a species that is actually endangered. Jun 5th More Ecology Terms. Chains and Web handout. Jun 6th Endangered Species Assignment. Be sure to pick a species that is actually endangered. Jun 7th BN - Food Webs Classifying Components of Ecosystems. Ecosystems and their components. June 13 Hey Mr. Ohrling...What is on my Ecology Test? June 15 Review time for the exam. Dec 7th Returned Electricity Test (marks will be posted soon). Space is a hostile place (note). Bill Nye - Space Exploration. Dec 8th Read Ch 4.1 and 4.2 and complete the handout. Dec 9th Bill Nye Outer Space (answers). Rd. Ch 4.3 and complete the handout(pg 1, pg2). Dec 12th Bill Nye Planets. From Ch 4.5 - Our Solar System handout. Dec 13th Scale Model of the Solar System. Use the scale given to make a model on 3 pieces of 8 1/2 x 14 paper. Dec 14th Celestial Motion Note. Motion of Mars and Jupiter. Other Solar System Bodies. BN - The Moon. Dec 15th The Sun. Read Ch. 4.10 from the text and answer a - m using complete sentences. Dec 16th BN - The Sun. Rd Ch. 4.11. Note on Galaxies. Dec 19th The Doppler Effect, Red-Shift and the Expanding Universe. Dec 20th Solar Nebula Theory. The Effect of Celestial Bodies on Earth. Hey Mr. Ohrling....What is on my Space Test? Dec 21st Review for your Test tomorrow....Don't forget to make your "Cheat Sheet"
May 11th Space is a hostile place (note). How Big, How Far, How Fast video. May 14th Read Ch 4.1 and 4.2 and complete the handout. May 15th Bill Nye Outer Space (answers). Rd. Ch 4.3 and complete the handout(pg 1, pg2). May 16th Bill Nye Planets. From Ch 4.5 - Our Solar System handout. May 17th Scale Model of the Solar System. Use the scale given to make a model on 3 pieces of 8 1/2 x 14 paper. Look below! May 22nd Catch up day....finish Scale Model of Solar System and Pluto Not a Planet assignments. May 23rd Celestial Motion Note. Motion of Mars and Jupiter. Other Solar System Bodies. BN - The Moon. May 24th The Sun. Read Ch. 4.10 from the text and answer a - m using complete sentences. May 25th BN - The Sun. Rd Ch. 4.11. Note on Galaxies. May 28th How the Solar System was formed. May 29th The Doppler Effect, Red-Shift and the Expanding Universe. May 30th Solar Nebula Theory. The Effect of Celestial Bodies on Earth. Hey Mr. Ohrling....What is on my Space Test? Apr 2nd Investigation 3.1 - Investigating Electric Charges. Report and Questions. The activity was completed and handed in . Apr 3rd Oct 27th Read Ch #3.2 and complete Electricity and Matter handout. Apr 4th Investigation 3.3 - Charging by Contact. This was done in class and handed in. Apr 5th Conductors and Insulators note. Video 'Conductors and Insulators' handout. Static Electricity Assignment. Due Thurs April 12th. Apr 10th Watched Lightning videos. Time to finish Static Electricity Assignment. Apr 12th Static Electricity Quiz. What is Current Electricity note. Rd. Ch 3.4 and complete the following handout. Apr 13th Comparing Electricity to Water Flow handout. BN - Current Electricity. Parts of an Electric Circuit note. Apr 16th Electricity Symbols handout. Activity 3.5 - Building simple circuits was completed in class and handed in. Apr 17th Read Ch #3.6 Complete handout. Series and Parallel Circuits notes and drawings..
Apr 18th Quiz - Circuit Symbols. Activity 3.7 - Building Series and Parallel Circuits. The activity was completed and Handed in. Apr 19th Read Ch #3.8 - Measuring Voltage Drop and Current. Complete Handout and Circuit Diagrams. Apr 23rd Ohm Zone Worksheets. #1, #2. We were in the computer lab. Apr 24th Practice Drawing Circuits for your quiz tomorrow. Ohm Zone review and summary note. Apr 25th Circuit drawing quiz. Calculations with circuits. Practice Circuit Analysis for your quiz Friday. Apr 26th Practice Circuit Analysis for your quiz Friday. Read Ch #3.10 and complete the following. Apr 27th Circuit Analysis Quiz. Watched part of 'Who Killed the Electric Car"
May 2nd Ohm's Law Practice. Read Ch #3.13. Complete the following handout. May 3rd Quiz - Ohm's Law. How do we Conserve Electricity? Rd. Ch 3.16, Efficiency note. May 4th Electricity - How it Works. Read the folder and hand in the assignment (as a word doc that you can type in if you want). May 7th Renewable and Non-renewable Energy Terms. The Fuel Cell. May 9th Electricity - How it works. Assignment due. Read the folder and hand in the assignment . More time to finish your cheat sheet. May 10th Electricity Test. DON'T FORGET YOUR CHEAT SHEET! Feb 6th Course outline and expectations. Parents, please sign the outline beside the website info. Feb 7th Safety in the classroom, WHMIS, HHPS symbols and info. Feb 8th Physical and Chemical Properties note. Physical Properties handout. Make sure you answer the following 3 questions. Feb 9th Safety Quiz. Physical Properties activity. Feb 10th Properties Review. What is Chemistry note. Video - Evidence for Atoms and Molecules. Feb 14th Finish Chemical Changes. Make sure you have read the pages above and completed the Handout. Feb 15th Use the links below to prepare for your quiz on Friday. Read Ch 1.5 and complete the following handout. Feb 16th Use the links below to prepare for your quiz on Friday. Physical and Chemical Change Activity. Feb 17th Bill Nye - Chemical Reactions Chemical and Physical Change Quiz - Ch 1.6 - Extreme Chemical Reactions. Fireworks. Feb 21st KMT Demos - Make notes on the following Powerpoint. Rd 1.8 answer Q#1-4. Feb 22nd Rd 1.9 and fill in the handout. Review KMT. PPT-Elements Compounds and Mixtures. Feb 23rd Matter Concept Map. Try these Flashcards. Elements Compounds and Mixtures video with worksheet. Feb 24th Classifying Substances as Elements, Compounds and Mixtures. Activity. Feb 27th Elements, Compounds and Mixtures Quiz. Read Ch 1.10 and 1.12. Complete the worksheet. Feb 28th Atoms the inside story. Rd Ch 1.13 and complete the handout. Feb 29th BN Atoms. Atoms - inside story note from PPT. 30 Elements you need to know. PT. Elements Crossword and Wordsearch. Mar 1st Elements and symbols links below. Standard Atomic Notation. Your Periodic Table...with protons, neutrons and electrons. Mar 2nd More Standard Atomic Notation. L&SM 1.13a and 1.13b. Mar 5th Bohr Diagram Note and Drawing of the first 20 elements. Check yours here. Mar 6th Standard Atomic Notation Quiz. An Inconvenient Truth. Mar 19th Making molecules review. Mar 20th Making molecules activity with marshmallows. Mar 23rd Complete the handout 1.19. Mar 27th Test Rules - Make a 'Cheat Sheet' - 1 page 1 side. Mar 28th TEST - Chemistry - Don't forget to bring your Cheat Sheet. Jan 10th More Ecology Terms. Chains and Web handout. Jan 11th BN - Food Webs Classifying Components of Ecosystems. Ecosystems and their components. Jan 12th Food Web Assignment.We will work on it more another day. Jan 13th Endangered Species Assignment. Be sure to pick a species that is actually endangered. Jan 16th Finish the Food Web Assignment and hand it in with all the questions answered. Jan 17th Deer and Wolf Populations. Complete and hand in. Oct 26th Investigation 3.1 - Investigating Electric Charges. Report and Questions. The activity was completed and handed in . Oct 27th Read Ch #3.2 and complete Electricity and Matter handout. Oct 28th Investigation 3.3 - Charging by Contact. This was done in class and handed in. Oct 31st Conductors and Insulators note. Video 'Conductors and Insulators' handout. Static Electricity Assignment. Due Thurs Nov 3rd. Nov 1st Watch Nova - Lightning and completed the worksheet. Time to finish Static Electricity Assignment. Nov 3rd What is Current Electricity note. Rd. Ch 3.4 and complete the following handout. Nov 4th Comparing Electricity to Water Flow handout. BN - Current Electricity. Parts of an Electric Circuit note. Electricity Symbols handout. Nov 7th Activity 3.5 - Building simple circuits was completed in class and handed in. Nov 8th Read Ch #3.6 Complete handout. Series and Parallel Circuits notes and drawings..
Nov 9th Circuit Symbols Quiz. Activity 3.7 - Building Series and Parallel Circuits. The activity was completed and Handed in. Nov 10th Read Ch #3.8 - Measuring Voltage Drop and Current. Complete Handout and Circuit Diagrams. Nov 11th Computer time. Work on OhmZone Worksheets. #1, #2. Nov 14th Practice Drawing Circuits for your quiz tomorrow. Ohm Zone review and summary note. Nov 15th Circuit Drawing Quiz. Calculations with circuits. Read Ch #3.10 and complete the following. Nov 16th Practice Circuit Analysis for your quiz tomorrow. Nov 22nd Quiz - Ohm's Law. How do we Conserve Electricity? Rd. Ch 3.16, Efficiency note. Nov 23rd Computer lab time. Work on How do we Produce Electricity Assignment. Nov 24th Computer lab time. Work on How do we Produce Electricity Assignment. Nov 25th Literacy Work - Watch 'Did we land on the Moon?" Nov 28th Literacy Work - Write your opinion piece. Nov 29th The Fuel Cell. Nov 30th Who Killed the Electric Car? Dec 1st Hey Mr. Ohrling.....What's on my Electricity Test? Dec 2nd Continue review for Electricity Test. Dec 5th Electricity Test is tomorrow. Don't forget your "CheatSheet"
Sept 6th Course outline and expectations. Parents, please sign the outline beside the website info. Sept 7th Safety in the classroom, WHMIS, HHPS symbols and info. Sept 8th Physical and Chemical Properties. Make sure you answer the following 3 questions. Sept 9th Safety Quiz. Physical Properties activity. Sept 12th Properties Review. What is Chemistry note. Video - Evidence for Atoms and Molecules. Sept 14th Finish Chemical Changes. Make sure you have read the pages above and completed the Handout. Sept 15th Physical and Chemical Change Activity. Make a Venn Diagram to summarize Chemical and Physical Changes. Sept 16th Use the links below to prepare for your quiz on Tuesday. Bill Nye - Chemical Reactions - worksheet. Sept 19th Use the links below to prepare for your quiz on Tuesday. Read Ch 1.5 and complete the following handout. Sept 21st KMT Demos - Make notes on the following Powerpoint. Rd 1.8 answer Q#1-4. Rd 1.9 and fill in the handout. Sept 22nd Review KMT. PPT-Elements Compounds and Mixtures. Matter Concept Map. Try these Flashcards. Sept 26th Use the highlighted links below to review Elements, compounds and mixtures. Watched video with worksheet. Sept 27th Classifying Substances as Elements, Compounds and Mixtures. Activity. Sept 28th Elements, Compounds and Mixtures Quiz. Read Ch 1.10 and 1.12. Complete the worksheet. Sept 29th "An Inconvenient Truth", worksheet. We watched about and hour and will finish some other time. Sept 30th Finished "An Inconvenient Truth". Oct 3rd Atoms the inside story. Rd Ch 1.13 and complete the handout. Oct 4th BN Atoms. Atoms - inside story note from PPT. 30 Elements you need to know. PT. Elements Crossword and Wordsearch. Oct 5th Standard Atomic Notation. Your Periodic Table...with protons, neutrons and electrons. Oct 6th More Standard Atomic Notation. L&SM 1.13a and 1.13b. Quiz tomorrow on S.A.N. and subatomic particles. Oct 7th S.A.N. quiz. Bohr Diagram Note and Drawing of the first 20 elements. Check yours here. Oct 14th Making molecules activity with marshmallows. Oct 17th Read Ch 1.18 and complete the handout. Oct 18th Complete the handout 1.19. Oct 19th Read Ch 1.20 and Complete the handout. Solutions. Oct 20th Test Rules - Make a 'Cheat Sheet' - 1 page 1 side. Chemistry Review - Questions and Answers. Oct 21st Clicker Chemistry Review. June 10th Classifying Components of Ecosystems. Ecosystems and their components. June 13th Food Web Assignment. Finish and hand it in! June 15th Ecology Assignment. Complete and Hand in. May 18th Returned Electricity Test (marks will be posted soon). Space is a hostile place (note). Bill Nye - Space Exploration. May 19th Apollo 13 with worksheet. May 24th Read Ch 4.1 and 4.2 and complete the handout. May 25th Bill Nye Outer Space (answers). Rd. Ch 4.3 and complete the handout(pg 1, pg2). May 26th Bill Nye Planets. From Ch 4.5 - Our Solar System handout. May 27th Scale Model of the Solar System. Use the scale given to make a model on 3 pieces of 8 1/2 x 14 paper. May 30th Celestial Motion Note. Motion of Mars and Jupiter. Other Solar System Bodies. BN - The Moon. May 31st The Sun. Read Ch. 4.10 from the text and answer a - m and Q#4 from pg 217 using complete sentences. June 1st BN - The Sun. Rd Ch. 4.11. Note on Galaxies. June 2nd The Doppler Effect, Red-Shift and the Expanding Universe. June 3rd Solar Nebula Theory. The Effect of Celestial Bodies on Earth. Hey Mr. Ohrling....What is on my Space Test? June 6th Review for tomorrows TEST! Apr 6th. Building a Model for Electric Charge note and What is Static Electricity handouts. Apr 11th Read Ch #3.2 and complete Electricity and Matter handout. Apr 12th Investigation 3.3 - Charging by Contact. Apr 13th Conductors and Insulators note. Video 'Conductors and Insulators' handout. Static Electricity Assignment. Due Mon Apr 18th. Apr 15th Static Electricity Quiz. Finish working on Applications of Static Assignment. Assignment is due Mon Apr 18th. Apr 18th Dr. Ross Assembly. Stay active for life and sit less. Apr 19th What is Current Electricity note. Rd. Ch 3.4 and complete the following handout. Apr 20th Comparing Electricity to Water Flow handout. BN-Current Electricity. Parts of an Electric Circuit note. Electricity Symbols handout. Apr 21st Earth day Activities. Do something nice for the planet tomorrow (and every day). Apr 26th Activity 3.5 - Building simple circuits was completed in class and handed in. Apr 27th Electric Symbols Quiz. Read Ch #3.6 Complete handout. Series and Parallel Circuits notes and drawings..
Apr 28th Who Killed the Electric Car? Apr 29th Activity 3.7 - Building Series and Parallel Circuits. The activity was completed and Handed in. May 2nd Read Ch #3.8 - Measuring Voltage Drop and Current. Complete Handout and Circuit Diagrams. May 3rd Computer time. Work on OhmZone Worksheets. #1, #2. May 4th A Movie review of Ecosystems and their interactions. May 5th Practice Drawing Circuits for your quiz tomorrow. Ohm Zone review and summary note. May 6th Circuit Drawing Quiz. Calculations with circuits. Read Ch #3.10 and complete the following. May 10th. The Safe use of Electricity. Read Ch #3.13. Complete the following handout. May 11th Quiz - Current and Voltage in Series and Parallel and Ohm's Law. How do we Conserve Electricity? Rd. Ch 3.16, Efficiency note. May 12th Computer lab time. Work on How do we Produce Electricity Assignment. Due Tues May 17th. May 13th The Fuel Cell. Review for Electricity Test on Tuesday. Remember...Cheat sheet is allowed. May 16th Clicker Review for Electricity Test tomorrow. Remember to finish your 'Cheat Sheet'. Hey Mr. Ohrling...What is on my Electricity Test? Course outline and expectations. Parents, please sign the outline beside the website info. Safety in the classroom, WHMIS, HHPS symbols and info. Physical and Chemical Properties. Make sure you answer the following 3 questions. Safety Quiz. Physical Properties activity. Properties Review. What is Chemistry note. Video - Evidence for Atoms and Molecules. Finish Chemical Changes. Make sure you have read the pages above and completed the Handout. Physical and Chemical Change Activity. Make a Venn Diagram to summarize Chemical and Physical Changes. Use the links below to prepare for your quiz tomorrow. Read Ch 1.5 and complete the following handout. Bill Nye - Chemical Reactions - worksheet. KMT Demos - Make notes on the following Powerpoint. Rd 1.8 answer Q#1-4. Rd 1.9 and fill in the handout. Answers to Q#1-4 from Ch 1.8. Finish Ch 1.9 using the above links along with answering Q# 1-5 from page 31.
Review KMT. PPT-Elements Compounds and Mixtures. Matter Concept Map. Try these Flashcards. Classifying Substances as Elements, Compounds and Mixtures. Activity. "An Inconvenient Truth", worksheet. We watched about and hour and will finish some other time. Review for Elements, Compounds and Mixtures Quiz tomorrow. Watched video with worksheet. Elements, Compounds and Mixtures Quiz. Read Ch 1.10 and 1.12. Complete the worksheet. Atoms the inside story. Rd Ch 1.13 and complete the handout. BN Atoms. Atoms - inside story note from PPT. 30 Elements you need to know. PT. Elements Crossword and Wordsearch. Standard Atomic Notation. Your Periodic Table...with protons, neutrons and electrons. More Standard Atomic Notation. L&SM 1.13a and 1.13b. Quiz tomorrow on S.A.N. and subatomic particles. S.A.N. quiz. Bohr Diagram Note and Drawing of the first 20 elements. Check yours here. Adopt and element assignment. Use ptable.com for info and edu.glogster.com to make a cool poster. We continued to work on our element assignment. It will be due March 23rd. Making molecules activity with marshmallows. More Making Molecules. Practice here and complete the following handout. Please add pictures to the handout. Read Ch 1.18 and complete the handout. Read Ch 1.20 and Complete the handout. Solutions. Test Rules - Make a 'Cheat Sheet' - 1 page 1 side. Chemistry Review - Questions and Answers.